Spectacular Golden Dunes, rising 150 meters into the air. Regularly travelled by other film productions, James Bond, etc. Hours driving time to get out to the deep desert. Can see civilization at the edges of the desert. Will likely encounter tourists. TRAVEL TIME TO LOCATION FROM HOTEL: 3 hours from Zagora to Erg Chigaga Dunes (alt: Merzouga, Erg Chebbi Dunes are taller, but slightly farther away). TRAVEL TIME BY CHARTER TO LOCATION: 1.5 hours by helicopter from Marrakech, 1.5 hours by light aircraft to Zagora. 3000 to 8000 euro cost to fly 5 to 8 people. EQUIPMENT: All standard camera, grip, lighting equip (ish, check, double check). Bring in specialized gear. Incredible landscape, endless cliffs and desert, "Lawrence of Arabia". Relative proximity to Aqaba isn't too far. Crew costs are low, good crew base. Flight time is fairly long to get out here. Wadi Rum appears in movies like "The Martian", and the new Star Wars film. LOCAL CREW: Excellent local crews, everyone speaks English. Steadicam may have to come in from Beirut or Dubai. EQUIPMENT: Grip and lighting equip is readily available, cameras may need to come in from Beirut or Dubai, or come with production. Drone pilot may need to come in from Dubai. Dunes as far as the eye can see. Non-stop from anywhere, Toronto, LA, NY, etc. Dunes are 30 to 45 minute drive from Dubai. Excellent crew and equipment base, don't have to house or travel them. Expensive. Dunes are not as tall as in Morocco. LOCAL CREW: Good depths of locally based crew. Both key and supporting crew speak english and work to international standards. Crews are non-union. EQUIPMENT: Arri, Panavision and RED equipment is available. All standard camera, grip, and lighting equip avail, as well as specialized equip such as Russian Arm, Technocrane and gyro heads. Massive Dunes as far as the eye can see, plus huge salt flats and crazy looks from the air. Non-stop flights from LA. 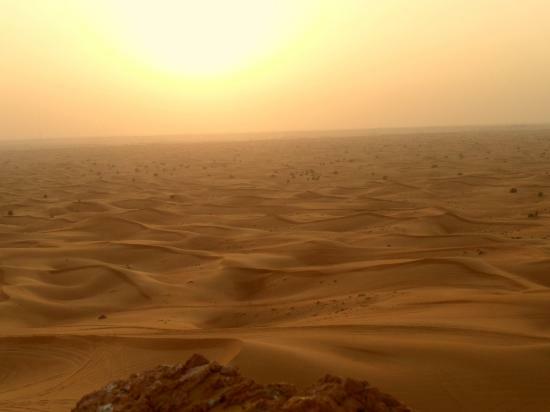 "Force Awakens" filming locations are 2.5 hours drive from the middle of Abu Dhabi, Dunes are as tall as Morocco. Was used in Star Wars. May be expensive, will have to check.